I’ve done it! 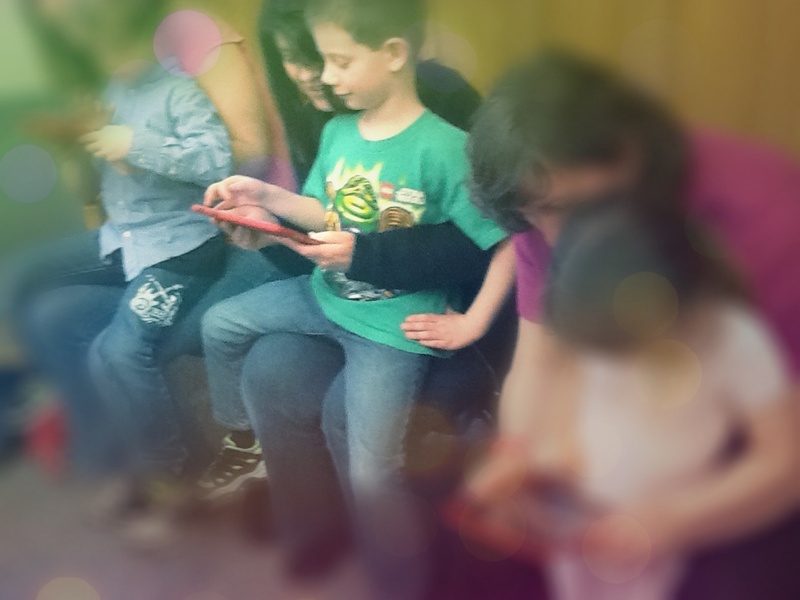 I’ve finally used an app at storytime – and it went really well! First off, I have to thank fellow intrepid storytimers, because I used their suggestions and formats. That’s what sharing is all about, isn’t it? I used the Animal Sounds app as suggested by Anne Hicks. I used it as a game after we read Simms Taback’s Farm Animals, which is a fun “guessing the animals” book. The app flowed naturally after this book, as it was a guess-the- animal game, too. I did not need to use a projector for this, I just played the animal sound, then turned the iPad around to show them the animal after they guessed it. I gave them a few easy ones, then we tried some harder ones. Lots of discussion about animals followed this activity! That’s the only app I used- I shared books, a felt board story, a puppet story, and several fingerplays. Then, we had some play time and a snack. I loved the format and name Milk & Cookies Story Hour, from Amy at Show Me Librarian, , so I asked her if she minded if I used the name and format. Because librarians are awesome, of course she said yes. I had 21 people (kids and adults together) attend—I grant this a success. Storytime was for ages 3-6, and I had at least that range attending, plus a 7-year old who confessed afterwards that she was too old but wanted to come anyway. Playtime & snack: I put out a plate of cookies, and poured some Dixie Cups of milk, and sat my bag of puppets in the floor as well as got out some Active Play toys – this week, I had Monster Feet and Stompers. I also got out the six iPad minis that I have pre-loaded with Apps. My rule was that parents and kids had to use them together – I told the parents there were two reasons for this—1) I didn’t want the iPads to get broken, and 2) the best way for children to learn with technology is to share with parents. I cautioned them about using the iPad as a babysitter, but rather to limit time spent with it, and to make it quality time. Lots of parents had questions about the apps and the iPads, the kids just dug right in and explored with no hesitation. Insights: Adding technology in tiny increments is pretty darn easy! The kids loved having the hands-on iPads, and the parents had time to chat with me about their concerns and questions. I like the format of having that extra time to play and have a snack—it gives the storytime a party-like feeling and adds both the TALK and PLAY aspects from ECRR2. Puppets are a big hit, and will always include them. Lots of comments from parents about the variety of activities, and also the Saturday time was appreciated. Community Engagement Coordinator for Annapolis Valley Regional Library, and librarian for over 20 years. Member of the 2015 Caldecott Award Committee. Posted on April 25, 2013, in Apps, iPad, Story Time. Bookmark the permalink. 4 Comments. I love that you had snacks!!! Wonderful storytime — thanks for sharing!